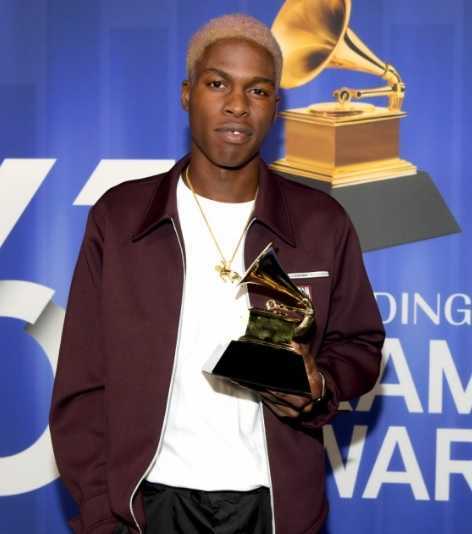 Ashton Simmonds popularly known by his stage name Daniel Caesar is a Canadian singer and songwriter. He is best known for his critically acclaimed EPs Praise Break, and Pilgrim's Paradise. His debut album, Freudian also garnered widespread critical acclaim. He has won Grammy for Best R&B Performance for his single "Best Part" from his debut album, Freudian at 61st Annual Grammy Awards. He has over 1 million followers on his Instagram. His EPs, Praise Break, and Pilgrim's Paradise. Where is Daniel Caesar from? Daniel Simmonds was born on 5 April 1995. His birth name is Ashton Simmonds. He was born to Caribbean parents. His father is Norwell Simmonds and his mother is Hollace Simmonds. He is of Bajan and Jamaican descent. His birthplace is in Oshawa, Ontario in Canada. He holds Canadian nationality. His zodiac sign is Aries. He has 3 siblings. He is the second eldest of four children. He grew up in the Seventh Day Adventist Church in Oshawa. He attended the churches private schools. Caesar released his debut EP, Praise Break in 2014. The EP gained him widespread critical acclaim. His debut EP, Praise Break was ranked number 19 on the "20 Best R&B Albums of 2014" by Rolling Stone. His body of work is influenced by religion, as well as unrequited love. He released his second EP, Pilgrim's Paradise in 2015. His breakthrough single, "Get You" amassed over 10 million streams on Apple Music. His management has stated that his catalog has garnered over 20 million global streams on Apple Music. NPR has stated that his three most-streamed songs have a combined 249 million streams on Spotify as of June 2018. He released his third EP, Up Next Session: Daniel Caesar on 16 August 2017. Following his success of his previous EPs, he released his debut album Freudian on 25 August 2017. The album includes singles "Get You", "We Find Love", "Blessed", "Best Part" among others. His other singles are "Won't Live Here", "Japanese Denim", and "Who Hurt You?". He was featured on River Tiber's "West", Sean Leon's "Matthew in the Middle", Peter Cotton's "Forever Always", and The Free Nationals' "Beauty & Essex". He has written/co-written "Telling the Truth" by Mary J Blige and "Saturn" by Nao. He headlined his concert, The Freudian, a World Tour between 2017 and 2018. 2019 Grammy Award - Best R&B Performance for "Best Part". 2018 Juno Award - R&B/Soul Recording of the Year for his debut album, Freudian. 2018 Soul Train Music Award - Best New Artist. 2018 Soul Train Music Award for "Best Part". Who is Daniel Caesar Dating? Daniel Caesar is reportedly a single. The Canadian has maintained a low profile regarding his personal life. He might be single or he might be dating someone. No rumor regarding his affair has surfaced yet. However, it is certain that he is unmarried. His sexual orientation is straight. He lives in Toronto, Ontario in Canada. What are Daniel Caesar's Body Measurements? Daniel Caesar stands at a height of 1.8 m i.e. 5 feet and 11 inches tall. He has a body weight of 167.5 lbs i.e. 76 kg. He has a slim body build. He has dark brown eyes and his hair color is black. He has dreadlock hair. 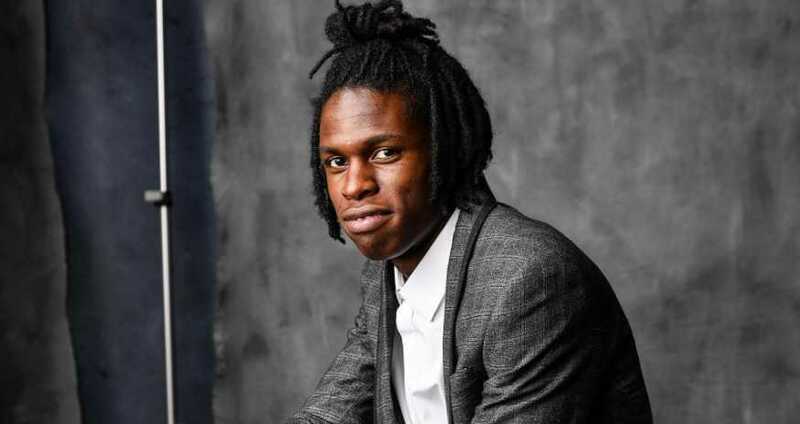 What is Daniel Caesar's Net Worth? Daniel Caesar is an aspiring singer and songwriter from Canada. His EPs, Praise Break, and Pilgrim's Paradise, as well as his debut album, Freudian earned him widespread critical acclaim. Working in the music industry is his main source of income. As of 2019, his net worth is estimated at $1 million. His father is a gospel singer who released his first album as a high schooler in Jamaica. He cites Frank Ocean, Kanye West, Beyonce, and Jim Morrison as sources of musical and aesthetic inspirations. He recorded gospel song, Give Me Jesus, with his father at the age of 16. He reportedly worked as a dishwasher in his early days in Toronto.